Hello pals! I hope your week is off to a beautiful start! I am currently in NYC for a really amazing brand collaboration and have been enjoying my time in the city. Always such a fun change from small-town rural life. I apologize that I will be MIA for much of the week while exciting things are happening behind the scenes. I will definitely be checking in during spare seconds and still have a few posts lined up. I was also hoping to share with you our hardware selection for our kitchen yesterday, however, the pieces I selected for the glass cabinets didn't work out during Saturday's installation day. Fingers crossed the new pieces arrive and everything goes swimmingly when I get back home. When I arrived at the hotel on Sunday, I realized I haven't yet shared a little gem of a packing tip. I may be late to the game, but one little change really made a fabulous impact on my travel experience. Three words: Mesh Garment Bags. These things are amazing. They come in a variety of sizes, and allow me to really maximize the space in my carry-on suitcase. When I pack for a work trip, I never know what to expect in terms of clothing, weather and event experiences. Things change at the drop of a dime, and I like to have back-up options in case I make a mess of myself or realize I completely mis-judged appropriate attire. For this five day trip, I packed three pair of jeans (white, black and blue), two skirts and eight tops. 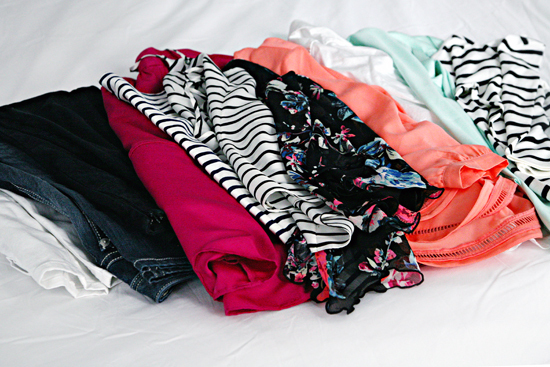 I also packed under garments, layering tanks, a blazer, two sets of pajamas and accessories (not shown above). They are less expensive than typical travel cubes. 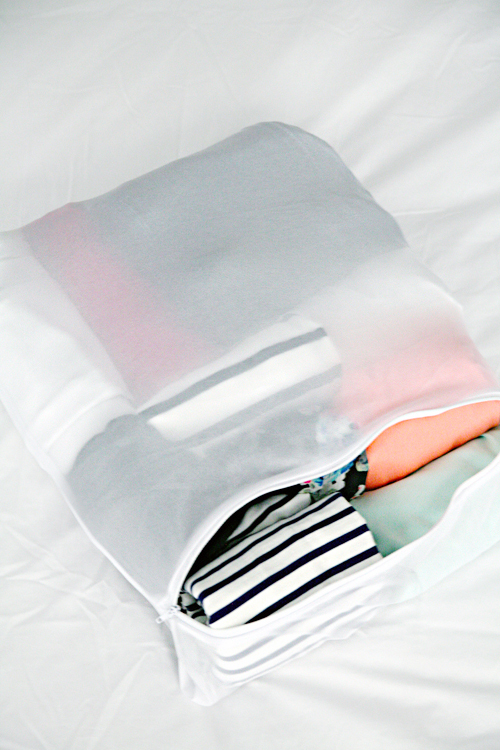 I prefer to roll my clothing when I pack to save space, the mesh sack conforms to the shape of my clothing, yet keeps everything from unrolling. They come in a variety of sizes to accommodate different clothing types. They are small enough to bring a few extras to separate out dirty laundry. They can be used to pack specific outfits for each day (include shoes, jewelry and clothing pieces into a separate sack for each day), or divide out clothing by function (sleepwear, pants/shirts, etc...). All those pants, skirts and shirts, all nice and neat in a little laundry bags. Good thing I played a lot of Nintendo Tetris as a kid. I also used a delicate bra pouch for all of my undergarments and one for sleepwear/tanks. And still plenty of space for the rest of my "necessities". I shared my toiletry organization a few years ago and not much has changed since. And if you were wondering if label tape holds up on the toiletry bottles even when wet day after day... it sure does! I also love using a jewelry roll for all jewelry/accessories. 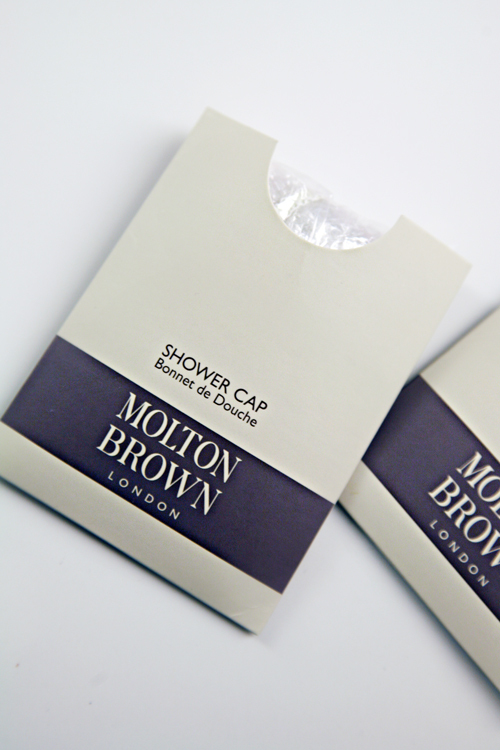 Another tip is to also collect shower caps every time you stay at a hotel. They are great for wrapping your shoes in your suitcase so nothing gets dirty. And since I am on a roll, and this is no longer one quick tip, I will just keep going. Something I just started doing, is taking advantage of my Dropbox account synced with iPhone/iPad. I scour my Pinterest boards and search for outfits that are current for my closet (for example, I will search for "white jeans" or "floral top") and then I save those images to a Travel -> Outfits folder on Dropbox. I also create a folder for Travel Details/Docs, Photos and Receipts. This way, I can access the outfit inspiration while dressing for an event, I can access any travel documentation, important contacts and itineraries if something becomes misplaced and I can take a photo of receipts with my phone and save them to review later, or turn in for reimbursement if applicable. 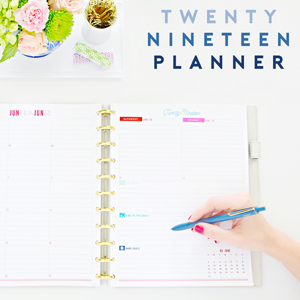 I also keep hard copies of my receipts in a small poly envelope that I tuck into my planner. Lastly, as I am taking photos with my phone, I can update them to Dropbox and delete them from my phone to save on storage. 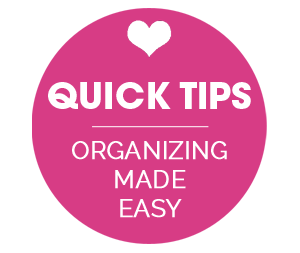 My last tip is to take everything out of your suitcase and hang it up instantly. This is obvious, but it will prevent your luggage from looking like it was tossed by TSA security three times, lost, hit by a tornado and then ransacked by a dog who smells a treat at the very bottom. Which is typically how mine looks within three minutes of arriving to the hotel. 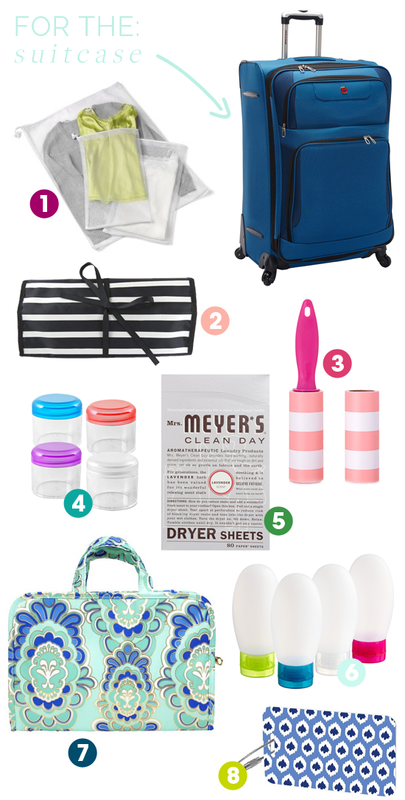 And for fun, I thought I would round up some of my favorite travel products. Enjoy! Mesh laundry pouches - as outlined above, they are a great packing cube alternative. Jewelry rolls keep jewelry safe and prevent tangles. Travel sized lint rollers will ensure you are dust and lint free on meeting/event day. Mini cosmetic cases are wonderful for holding everything from daily vitamins to stud earrings. 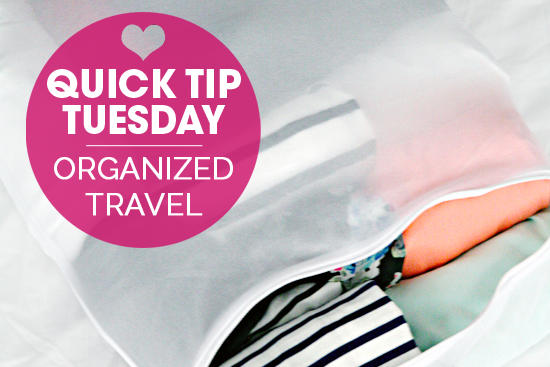 Tuck a few dryers sheets in your suitcase between clothing to keep everything smelling fresh. They are also great for rubbing onto your blouses and skirts to prevent cling issues. 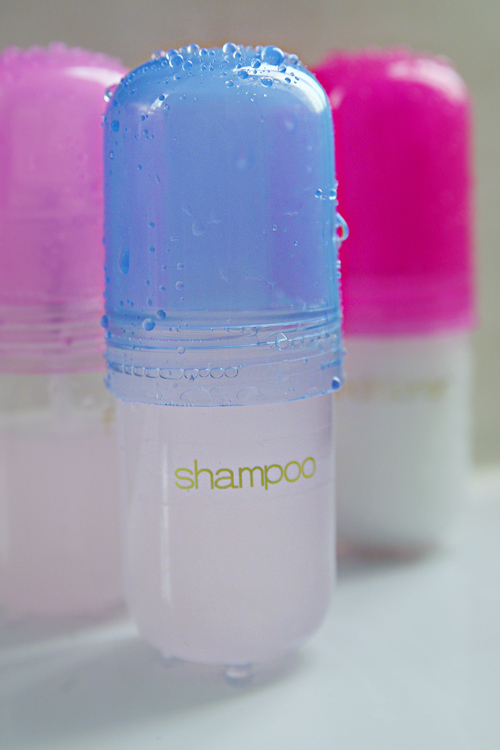 Pre-pack a toiletry bag with your favorite products emptied into small, TSA friendly bottles. Select a cosmetic bag with multiple pouch options and one with handles that allow you to hang it on the back of the bathroom door or nearby hook. It is always important to add identification to your luggage. Tech Tags that utilize cloud technology to help ensure your items a safe recovery if lost. Headphones will keep you entertained during your flight. Keep them tangle free with an ear-bud cord wrap. Ear-buds keep your ears happy with tunes, gum keeps your ears happy while changing altitudes. Corral all of your important travel documents and keep them right at hand with a handy travel wallet/organizer. I don't know about you, but I always feel a little rough after a flight, especially after sleeping in a crunched up ball. I like to keep a travel size bottle of dry shampoo to give my hair a little refresh/bounce after landing. Same story for the face. I don't pack the pressed powder in my toiletry bag; that goes right into my personal bag to rid my face of oil build-up during the flight. Mini hair brush for that mini bed plane head fixing. When I am traveling all day, I am sure to burn through my phone/tablet battery sooner than normal. A pre-charged battery cell will get you a few extra charges throughout the day if needed. I pre-load my tablet with magazines and books prior to my flight. This saves on bag space and shoulder pain, as I use to lug those items with me. They are also handy to have for games, music, movies and even web browsing on Wi-Fi flights. 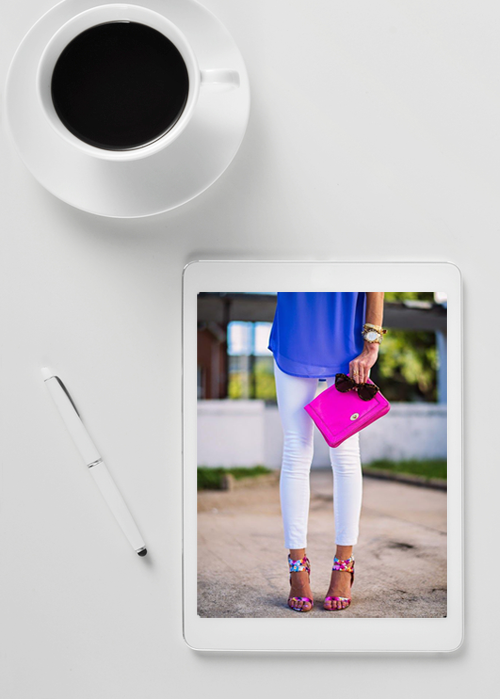 Lastly, load Dropbox on your tablet to keep all of your important digital files easily accessible at any time. Most often, I am meeting someone straight off of the airplane. I like to give myself a little spritz of perfume during my quick freshen up process. Most perfumes come in travel sized bottles, or you can purchase them and transfer your favorite scents at home. Flights always make me feel dried out; both my hands and lips. For hands, I always keep a small tube of hand creme in my carry-on. And a little chapstick for my lips! These folios are also great for travel docs, receipts, and any other files you may be transporting across the globe. It is probably no surprise I take my planner with me everywhere, so of course, it makes the cut onto the plane. In fact, I love to store all of the hard copies of any travel docs I have right inside the cover. So now that I spilled my favorite travel/packing tips (which ended up being a few quick tips), what are yours? What one item is a "must" when jet-setting off for business or pleasure? Looking for more quick tips? Check out the entire series here! That is the most beautifully packed suitcase I have ever seen! I've never though of mess bags. Multi-purpose items like those are great. I'll have to invest in some for my next vacation! I need a kitchen update! I like the mesh bags. Must get some.... I'm a chronic roller of clothes (and anything rollable) but I haven't used bags or garment holders yet. So thanks for sharing. Great tips. ohhh i love these tips! I am ordering some of those laundry bags today. What a great tip. Love the shower cap tip too. I just discovered rolling clothes when packing and can't believe the space it saves. And I'm a big fan of the hanging toiletries bag. Saves so much room on the bathroom countertop. Great recommendations! I need those mesh bags! Since I travel regularly I keep my toiletries in travel sizes all packed into my "on the go" bag-including toothbrush, floss spare medicine and contacts-everything! Then when I have a trip, I just grab the bag and go! It's so easy and it takes barely any space in the bathroom. When I get home I replace anything needed and put it away. I also use the mobile boarding pass so I don't have to stop at the airport-saves SO much time and then I don't have to keep track of a piece of paper I am definitely going to lose! Great tips! What do you think of your Tieks?! I have been debating a pair for ages and can't make up my mind. Are the really as wonderful as they say? I am a huge fan, and I think they get better/more comfortable the more I wear them. At first I was a bit skeptical, but now I wear them almost daily as my "go to" cozy shoes. I travel weekly for work and invested in a cute plastic pouch (maybe it was originally a pencil bag?) for my travel receipts. Like @amy, I also have a travel toiletries bag that I can just grab and go, and it makes life a lot easier. Lastly, I have a pinterest board with workouts that I can do from a hotel room or with just free weights--so I can get in a workout regardless of the state of the hotel gym. Love the carry on bag pictured. Where can I get one? Hello! I am guessing you are referencing the one with the carry-on suggestions graphic? If so, you can find it here: https://www.loandsons.com/the-brookline-tote I have the bag on my wish list, it looks amazing for someone who travels with a laptop frequently. Brilliant timing Jen! I'm just about to pack up the five of us and head from Australia to the U.S next week (a 14 hour flight I am not looking forward to with 3 kids!) and I definitely needed to see some pretty packing eye candy! 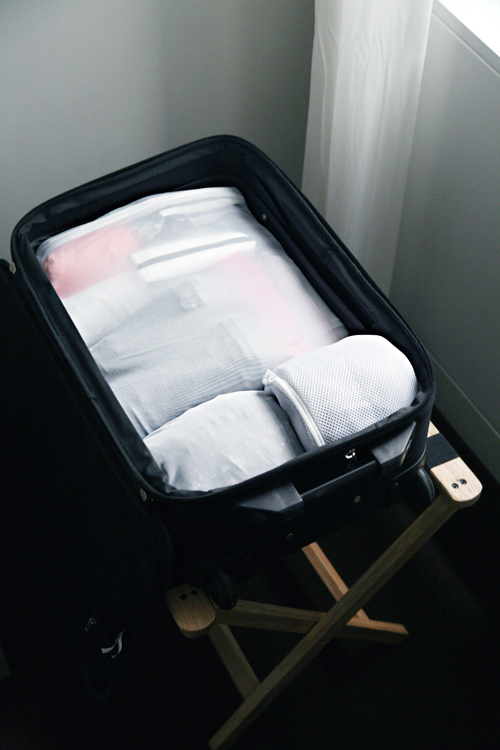 I highly recommend packing cubes for travel, but the mesh bags seem like a brilliant tip also! So exciting!! Have a wonderful trip, sounds absolutely amazing! 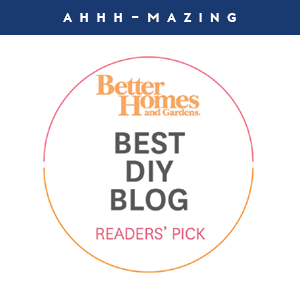 Love this post, I have an upcoming work trip and I'm always the worst organized packer, I'll for sure put some of your tips in place, thank you! We use key rings as locks on the zippers. TSA can get into them without a key if they must and who wants to take the time to mess with them to get them off to steal something? I am an experienced traveler, but I have never thought of using mesh bags in my luggage! What a great idea. I use them all the time for laundry so I have several in various sizes. Thanks for the great tip. It will make international travel so much smoother! 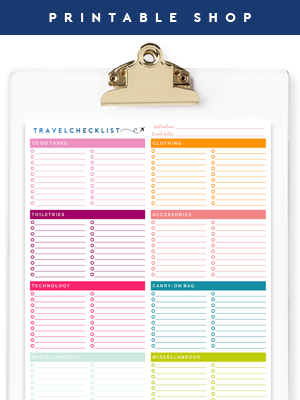 I always love your travel organizing posts! I'll be referring back to them on my next trip to Europe! Hope you have a great time in NY! aghhhh its an organisationed dream haha ;) The mesh garment bags work really well !. I found it easiest to use a computer to set up initially at dropbox.com and then downloaded the app to my iphone/ipad with the new log-in. You can access your Dropbox folders/account from any device as long as you are connected to the Internet. Dropbox is sort of like a separate desktop where you can create multiple folders (which stay private to you unless you select to share one with others). It takes a little playing around with, but I find it to be really user friendly. Love this! Thank you for adding! We have used Ziplocs when packing our kids for relatives in the past and it worked out so well! I love that you can write descriptions on the bags so that everyone is on the same page. I carry my phone and tablet charger and a small travel sized outlet strip. There are never enough outlets in the airport, so if I can find someone to share an outlet, I can bust out my outlet strip and everyone can charge! Wow great tips! And they're very easy to understand! This 4 Port USB Travel Charger, from the Container Store, is a must for us whenever we travel. With how many devices we can travel with, it allows us to set up a charging station in only 1 outlet in the hotel room. We don't have to worry about pulling the nightstand out from the wall to find an outlet because there aren't enough we can easily access. It makes life a lot simpler! Such a great idea! We have a similar port in our home, and I never thought to take it with us when we travel, but it would require so much less of, "does everyone have their bricks!?" :) xoxo! I love using freezer-safe Ziploc bags to pack my clothing. I roll the clothes, fit them in a bag, squeeze to get rid of excess air in the bag and seal. No wrinkles, easy to see what's in each bag (sometimes I group by outfit, other times it's by category- shirts, pants, etc. ), and easy to maneuver through if I need to get something out of my bag. I don't travel anymore in my new position...but I used to do transatlantic trips a couple times a year and domestic a few more. My favorite packing trip, ESPECIALLY for Europe is to pack only three outfits worth of clothes then mix and match for the week. This seems to be the general way things are done in Europe. And while the concept is less socially acceptable in the US, I'm not convinced anyone would notice if I wore the same black pants twice, or the green blouse worn with a scarf one day and a statement necklace and sweater two days later is the same. I do this when I travel for longer trips as well... Especially when on vacation (vs. work events), I don't think anyone would take notice if I were mixing and matching the same pieces all week. Great tip! I've traveled all over the world using those plastic packaging you get linens in. Just recently I upgraded to actual travel packing cubes but now I'm going to pull out all my laundry mesh bags and put them to good use! Thanks for the tip. Where did you find the bottles with the gold label in the picture? They look like they would pack really nice compared to the smaller cap bottles. I googled around a bit and can't seem to find the source for them, but I found them on clearance at a local home interior store and grabbed them because my previous tubes were starting to crack. However, I don't love them nearly as much and don't really recommend them. I haven't been a fan of having to twist off and on the cap in the shower to pour out the contents (they came in a pack of three with two pour and one pump). I now have another use for all my mesh bags, I love it! I also loved the tip about the shower caps, I never thought to use them for shoe covers! Amazing tips here! I had never thought to put the hotel's shower caps on your shoes when you pack them up so the clothes don't get dirty. Your finished luggage bag looks beautiful. Great tips! I travel frequently for work and picked up a great tip from an in-flight magazine years ago - contact lens cases for small amounts of lotions and such. They are the perfect size for 2-3 days of eye cream, overnight cream, etc. This saves me a ton of space and I don't have to eliminate anything from my normal routine. I also use my travel toiletry bag to get ready the morning of the flight. This way, if something is missing, I notice! I just got home from a trip and these are amazing tips that I will use for my next trip. I'm also going to buy a few of the great items you've posted including that pre-charged battery cell. You always have such fun coloured items too. Love it! PINNED so I can find this easily for my next trip. I travel all the time. And though I have mercifully been given a few months respite I'm back on the road again as of Saturday! I LOVE using mesh bags for travel and have been doing so for years. I have to say though I don't use anything special, just mesh laundry bags I got at Dasio (for $1.50, and they're pretty to boot!). They're great if you're going for longer trips or are flying with kids. Cause you can use them to separate your clothes, but also ensure no baby socks get left behind in the hotel washing machine! When it comes to cosmetics I scaled down years ago. I use a Vera Bradley medium cosmetic pouch and it fits my four brushes (I put mesh brush guards I bought at Wal- Mart on them to protect the bristles) and a Unii palette, plus extras like mascara and brow gel. I highly recommend something like a Unii or Z palette if you travel a lot. Depot your favorite cosmetics and you can fit three times as much in a fraction of the space. When it comes to jewelry I'm very picky about what I bring. First off, I bring as little as possible. I like to bring my 5mm studs (diamonds and at least one colored stone pair) and my halo jackets. That way I can get multiple looks while bringing less. I also pack everything in tiny jewelry pouches with dividers (Tiffany's makes the best ones, ask for extras if you make a purchase!). Then I pop all of them in a padded pouch (zip top and long so my Pandora bracelets can lay flat on the bottom). I've been doing this for so long I really need to write my own post. I did a series on traveling with toddlers but I've been putting off doing one on packing and traveling as an adult! If I am traveling to visit family, I don't pack any toiletries. I stop at a pharmacy or Target when I reach my destination and buy full size versions. Whatever remains when my visit is done stays with the person I stayed with. 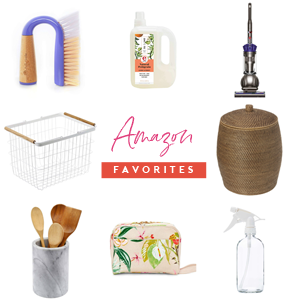 They love trying some new items and I save lots of space (and any accidental spills) in my bag! (I do scrape off the top of the deodorant :)...). I got this idea from a friend who would travel to the U.S. from Australia for extend visits and wanted more room for shoes! Sadly, the Batiste dry shampoo isn't allowed in carry ons anymore. It has a flame on the can. I didn't think about it on one trip and they confiscated it at the security checkpoint. Now I bring a dry shampoo in powdered form.